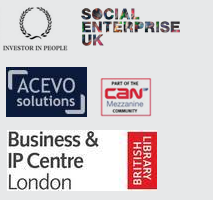 Free one-to-one advice, consultancy development support and training new and existing co-ops funded by the Co-operative Group and delivered throughout London by advisers from the co-operative movement. Red Ochre are working with Co-op Enterprise Hub London to support groups looking to set up as a co-op. For help with business planning, accessing to finance and registration please get in contact with Robert Foster robert@redochre.org.uk. Published: September 13, 2011. Categories: News.